With 12 games left in the Premier League season, it is all to play for in the title race as far as United and City are concerned. The reds are well placed on the shoulders City and just 2 points separate the Manchester rivals after 26 games. In recent weeks United have had to negotiate a string of tough fixtures; travelling south to face both Chelsea and Arsenal before 'welcoming' Liverpool to Old Trafford. Happily, Fergie's men remain in touch at the top in spite of the difficult run. This weekend that run continues as the reds must travel to third placed Spurs. Meanwhile, back in Manchester, City entertain Bolton. It is not unreasonable to expect that the blues will stretch their advantage over the next few days. At best Manchester United fans are probably hoping to wake up Monday morning still only two points adrift Roberto Mancini's side and only a foolish punter would bet on the reds actually closing the gap in this round of fixtures. But beyond Sunday, what awaits us in the coming weeks? Today, we will have a look at what to expect over the rest of the season starting with this weekend's round of fixutres. Verdict: Anything other than a City win would a shock. With their excellent home record they should see off Bolton without too much fuss. United, meanwhile, have a difficult assignment at White Hart Lane. The reds have been strong on the road this season - losing just once - while Spurs have registered just 1 win against top 5 opposition all term. The absence of Scott Parker is a blow for the Londoners, as would be the rumoured injury to Gareth Bale. Even so, with home advantage Spurs are a very decent side. We reckon a draw. Table: City 66 pts, United 62pts. Verdict: United will expect to beat West Brom at Old Trafford. Although the 'Baggies' were the only team to take a point at the Theatre of Dreams last season, few will expect a repeat. City on the other hand have a tricky looking trip to Wales. Swansea have taken points off of Arsenal, Spurs and Chelsea this season. Indeed United only managed a narrow 1-0 victory against the Swans. With the pressure rising in the title race, the game in Wales may well be a banana skin for City. A score draw we say. 1-1. Table: City 67 pts, United 65pts. Verdict: United lost a Molyneaux last year and needed a stoppage time winner from Ji Sung Park to claim the points at Old Trafford in Nov 2010. Wolves can be a tough side to play against and frequently cause problems for the top teams. Having said that, United thrashed them 4-1 at Old Trafford in December; they have parted company with long term manager Mick McCarthey since and if we chuck United's excellent away form into the mix it all adds up to 3 points for the reds. The following night, City face Chelsea at the Etihad. The Londoners took the points in the first meeting at Stamford Bridge and may well earn a point in Manchester if they are on their game. Table: City 68pts, United 68pts. Verdict: Regardless of what happens against Swansea or Chelsea, Stoke away is going to be a real physical test for City. Although Stoke have disappointed somewhat this season, they remain a decent proposition in front of their own fans. A shock result could be on the cards at the Brittannia Stadium with City feeling the pressure from United. Stoke 1 City 0 we say. United will then take the field against Fulham knowing that they can go three points clear with a win. The reds brushed the Londoners aside contemptuously at Craven Cottage in December; winning 5-0. We can't see beyond a home victory. Table United 71pts City 68pts. Verdict: City to get back on track against Sunderland at the Etihad. An easy win should gain some revenge for a 1-0 stoppage time loss at the Stadium of Light on New Years Day. United's trip to Blackburn on the other hand may be more difficult than it seems. The reds have not beaten Blackburn in their last two meetings, famously losing at home to the Lancashire side on New Years Eve. Is Fergie's revenge on the cards? Maybe not. A draw, sadly. Table: United 72 pts, City 71pts. 8th April: United v QPR, Arsenal V City. Verdict: United will be expecting to win this fixture at Old Trafford and we can't see any reason why they shouldn't. It is a tougher test for City however, travelling to the Emirates. At any other time of the season we would make City favourites to win. But in the unsettling hue of the title race the match will take on a different character. If Robin Van Persie plays City may well find themselves in trouble. While the blues have the potential to score goal against this flaky Arsenal side, nerves and pressure may play a part. Arsenal to win this one. Table United 75pts City 71pts. Verdict: Norwich is no easy place to go as United found last Sunday. The Canaries also made life difficult for United at Old Trafford in October. But much of this was down to United's own poor performances. City may just have too much for the East Anglian side and we predict a blue victory. United at home to Villa is one that should result in three points for the reds but Villa are an unpredictable outfit. Ordinarily United would turn the brummies over at Old Trafford but this could be a tense match if City have beaten Norwich the previous day. A narrow United win; we hope. 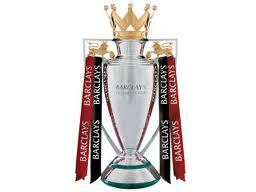 Table United 81pts City 77pts. 22nd April: United v Everton, Wolves v City. Verdict; Everton could well get a point at Old Trafford. They are a hard side to beat and in recent years we have struggled to do so; Chicharito's late winner last season being an example. This is a potential 0-0 draw. Meanwhile, City travel to Wolves and should gather all three points. Table: United 82pts, City 80pts. Verdict: And so to the big one. What should we expect? The sides have met three times already this season with United winning 2 and City the other. The scorelines on each occasion were dramatic too; 3-2 to United at Wembley, 1-6 at Old Trafford and 3-2 to United in the FA cup at Eastlands. Much will depend on the state of play in the title race at the time. Neither side will want to lose, of course, but equally it may be the case that neither side is prepared to gamble for the win either; unless one of them has to. In our scenario it will be City who need the win most. United would be happy to draw the game and maintain their two point advantage. In that case, we can see a tight match with United sneaking a goal on the break and City forcing an equaliser with some heavy pressure. 1-1. Table; United 83pts City 81pts. Verdict: A win for United could secure the title, depending on City's result. Against Swansea at Old Trafford, the reds may see less of the ball than they are used to but should make good use of it when they do have it. We predict a home win. City have a much more difficult test. Newcastle at St. James' Park is never easy. They may well need to win the match just to stay in the race. But we think it ends today. City draw, United win; game over. Table United 86pts City 82pts.